December 2018 saw two wheeler manufacturers offer year end discounts and benefits so as to clear out remaining stocks. The end of the year, which normally sees lower sales, saw a host of bike makers offer discounts schemes and bargain offers on motorcycles to entice buyers into company showrooms. Purchases were high during this period in view of the new safety norms and BS VI compliant engines being introduced on new bikes which would see prices escalate. The list of top 10 motorcycles sold during the past month saw the Hero Splendor in a top spot with 1,78,411 units sold. Hero MotoCorp also had the HF Deluxe at No. 2 with 1,65,321 units sold and the Passion at No. 8 with 29,614 units sold through the month of December. At No. 10 was the Hero Glamour of which 25,377 units were sold last month. Bajaj Auto Limited had the Platina, Pulsar and CT100 on the list of best selling motorcycles in December 2019. These three offerings in No.3, 4 and 7 positions saw sales of 58,474 units, 56,737 units and 30,743 units respectively. The company saw motorcycle sales grow by 31 percent in December 2018 with a total of 2,98,855 units sold as compared to 2,28,762 units sold in December 2017. Honda Motorcycle and Scooter India sported the CB Shine motorcycle at No. 5 with a total of 49,468 units sold during the past month and this was the only company offering on the list. At a No. 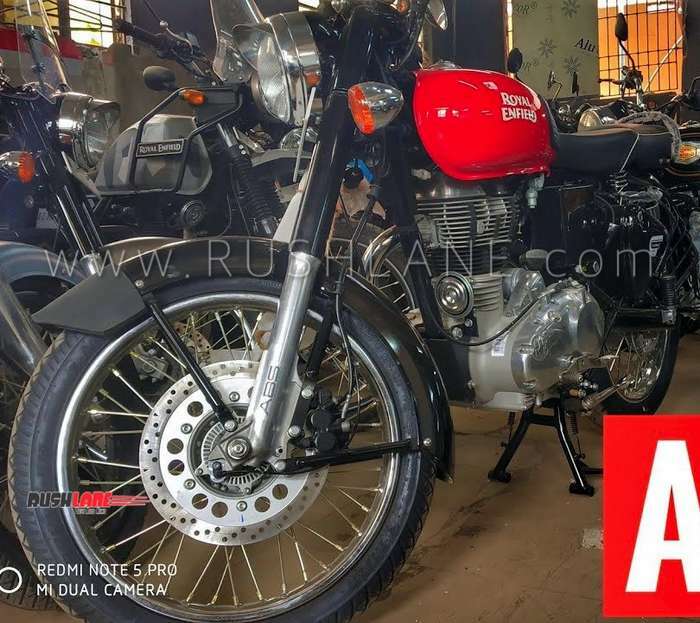 6 spot on the list of top 10 motorcycles sold in December 2018 was the Royal Enfield Classic 350 of which 34,325 units were sold. The company recently launched its 650cc twin cylinder models the Interceptor 650 and Continental GT 650 which are expected to bring in better sales and find their way to this list soon. 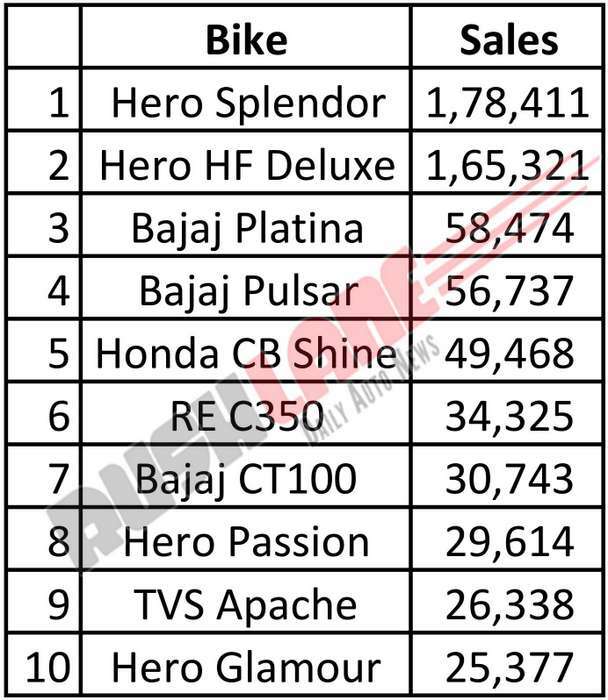 TVS Motors also had a single entrant on the list of top 10 motorcycles sold in December 2018 with the Apache at No. 10. A total of 26,338 units of this model were sold. The two wheeler industry is now set to comply with new safety and emission mandates ahead of the deadline and expect to see a turnaround in the months ahead.